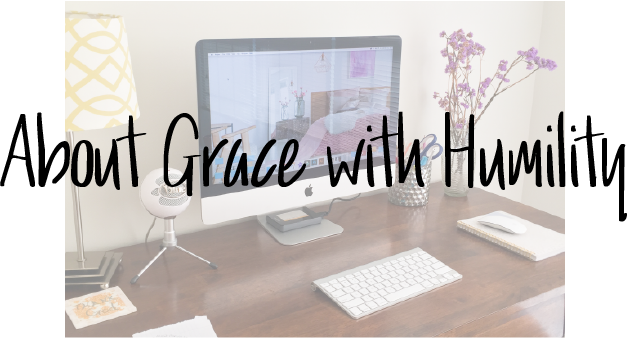 Come and get to know the woman behind Grace with Humility ministries. Hi, and welcome to my ministry, Grace with Humility, I'm Nichole. On April 13, 2003 I gave my life over to Christ wholeheartedly and since then I've been on a long journey towards sanctification. It wasn't until I became a wife in 2012 did I begin to understand the significance of a woman's virtue. My mission now is to help women of faith strive to become virtuous women according to God's standard and not the World's standard. I am not new to ministry as I've started a few different ones over the years from ministering to teens at church to creating my first Youtube channel sharing the gospel. Although, it may not be easy putting yourself out there for others to judge one thing reigns true and it's my heart for uplifting, encouraging, and ministering to women. As I contemplated my next move in ministry while feeling led to dissolve my last one to move into another direction (when one door closes another door opens) the Lord gave me a new vision for His work as well as a new name, Grace with Humility (GwH). The name is a reminder that I am saved by grace and it's through His grace that I desire humility in all things. GwH is a ministry for women of faith who desire to become virtuous women (to the best of her ability of course). Topics of discussion include personal growth in your spiritual walk, how to remain content while single, the blessings of homemaking, and ways to honor God in marriage. I want GwH to be a place where women are comfortable with sharing their faith experience, wisdom, and testimonies with others without fear and a place where they know God's presence dwells. In addition to ministering through GwH, I’ve opened a store, Printables by Nic (PN) where I sell affordable printables created specially for homemakers and mommies. I enjoy creating and organizing so my new shop is the perfect place to showcase my designs. So don’t forget to stop by PN where I can help you stay organized and less stressed with my printables.